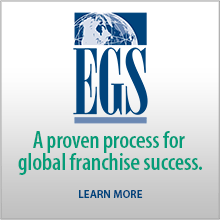 After 15 years focusing on exporting U.S. franchise companies, EGS is expanding our portfolio to include market research, trend analysis, and project management for rapidly growing companies in other sectors and countries with companies who are seeking to increase stakeholder value by going global. 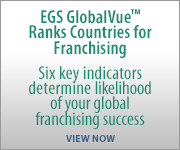 We are taking on an increased role with private equity companies seeking to acquire franchise brands or evaluate the global potential of those they already own. Our U.S.-based team has lived in 15 countries and worked on projects in more than 70 countries. Our GlobalTeam™ is based in 40+ countries in Africa, the Americas, Asia, Europe, and the Middle East. We have hands-on experience operating companies in other countries.